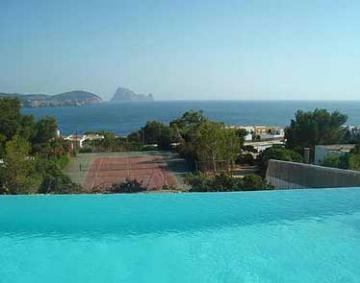 New villas with private tennis court for 2014 recently added to our collection of forty villas with private courts in France, Italy, Spain, Portugal and Bali. We have an outstanding selection of villas with their own private tennis courts and just recently we added two more which are sure to attract plenty of interest. 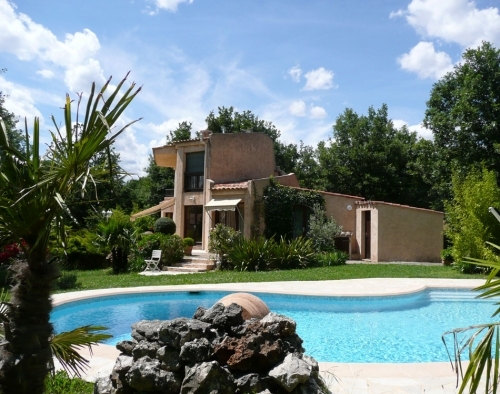 The first one, the AIX1012 Proche d'Aix en Provence, is near Aix en Provence in the south of France and what is most appealing about this house, apart from the fact that the tennis court was brand new this year, is the value for money. Have a look for yourself but we think it is very well priced for what is on offer and if you don't know the surrounding area believe us it's beautiful and we rate Aix en Provence as the best city to visit in France after Paris. The second property, the COMTC1201 Sur la Plage, is absolutely unique, it doesn't have a pool but it is directly on the beach and has so much land that the beach is more or less private to the villa. In Corsica that is practically unheard of. The tennis court is a good one too! This property is not cheap but it is exceptional. If you enjoy tennis there is nothing better than having your own court in the grounds of your holiday property so that you, your friends or family can play as and when you want. Then you can take a nice dip in your own swimming pool or even the sea to cool off. 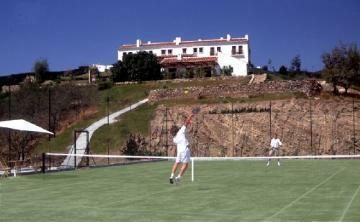 Have a look at the full collection of villas with private tennis courts which we hope we will be adding to again soon.